The whooping crane – the tallest bird in North America and one of the rarest – is the leading symbol of wildlife-conservation efforts in the United States. 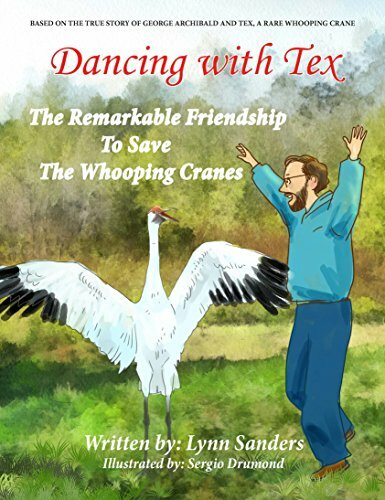 In 1941, the species’ total population had dwindled to 15 cranes, discovered wintering on the Texas coast. The American Birding Association reported a species population of 599 last September, including 278 cranes in the group that migrates 2,500 miles between nesting grounds in Canada’s Wood Buffalo National Park and wintering habitat around Texas’ San Antonio Bay, north of Corpus Christi. In 1991 a blind, cave-dwelling salamander, two species of beetles, an eyeless crustacean and an inch-long fish helped change how Texas manages underground water. Using the federal Endangered Species Act, conservationists won a federal court order to protect these creatures by limiting the amount of water that can be pumped from the Edwards Aquifer. Now a group of conservationists called The Aransas Project (TAP) is using the Endangered Species Act to challenge the management of surface water. The animal in question is no obscure salamander, but the most famous and charismatic animal in North America: the whooping crane. If a federal judge rules in favor of TAP, the way Texas manages the Guadalupe River and its estuary, San Antonio Bay, will be fundamentally changed. The state may have to guarantee that enough freshwater is allowed to flow from the Guadalupe into San Antonio Bay to nourish the blue crab population, the primary food there of the whooping crane. This entry was posted on Saturday, January 21st, 2012 at 8:43 pm	and is filed under Aransas Updates, Endangered Species. You can follow any responses to this entry through the RSS 2.0 feed. Both comments and pings are currently closed.